We have had some beautiful days here and I have really enjoyed them. 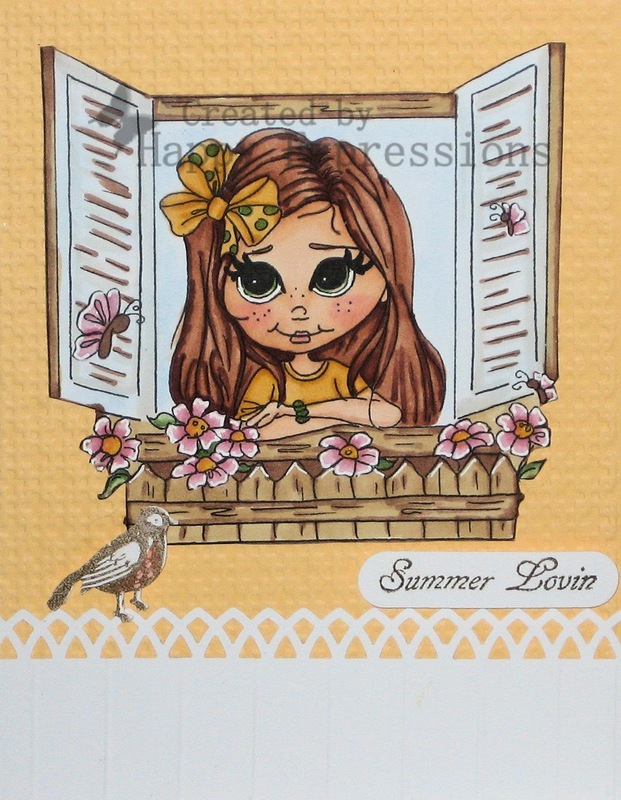 I went into my craft room last night and colored this cute Lacy Sunshine image called Olivia's Window. I printed it onto neenah cs and colored it with copic markers. E00,000,21,13,15,18,24,31, R81,83,22, YR23,24, YG61,63, N0,2. I then fussy cut around the image. The card base is SU daffodil delight. I used SU square lattice embossing on the background. I adhered the image with tombow glue. The bird was stamped and punched with MS combination stamp and punch set. The fence was also a MS border punch. I used my score board and scored every half inch. It doesn't show in the photo. I should have added some distress ink.The sentiment came from Pink by Design stamp set. I hope you have gotten some inspiration from this card. I will add this into this challenge. Thank you for stopping by, happy crafting and have a blessed day! Very cute card as always!!! Gorgeous, really pretty! Thanks for sharing with us at Lacy Sunshine!